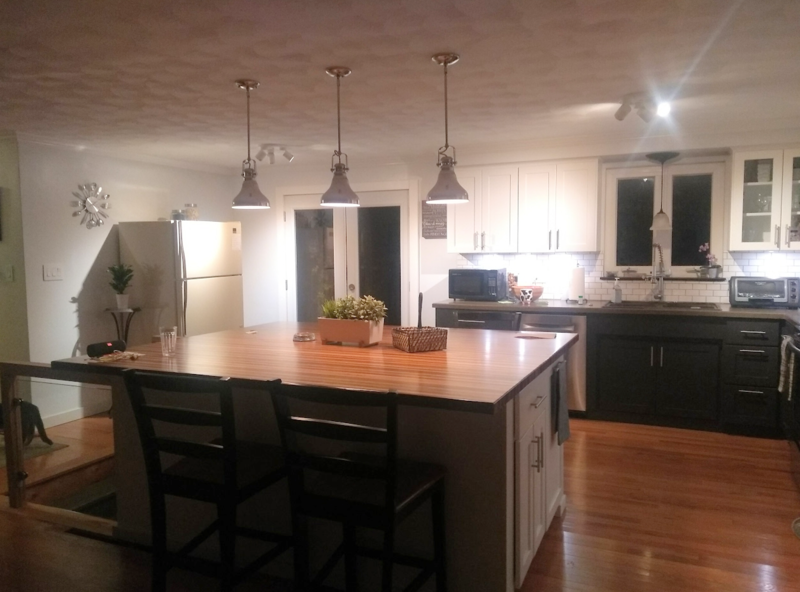 And here its an update of the open space so far... even though we already have the island countertop ... They delivered it wrong... this is oak and walnut, not cherry and walnut as it was requested. I also framed out the french door moldings... just need now to close the island off once i am done with electricty and also put up the glass railing system ... eventually stairs will be replaced. Waiting as well for kitchen knobs! I feel like I just binge watched a series, and was cut off at the cliff hanger! I'm not seeing a picture that I thought Mr. Sal implied he was putting up in his most recent post. Am I missing something? Nope, I don't see it either. He used a Facebook image url, which has since expired. Might want to use a more durable image host. Yes MrSal, I think there are lots of us who would love to see the image remain a permanent part of the thread, as the other images you posted seem to have done. Your project is really inspirational; so to have the Money Shot missing for any thread latecomers is soooo frustrating! Obviously, looks like some great work, and shows how resourceful you are. I already have the inside of the island also done and the sides of the railing as well ... so it actually looks more finished! Wow! Looks so much lighter and better. MrSal, thanks for sharing the pictures and descriptions with us. Also, I'm looking forward to seeing the pictures of the stairway and railings when you're done with that part. Please don't forget to post them when you finish. So... im in need of some help on the best way to attach this. I have the railing ready to go ... however i am not sure what the best way to attach this is... At first I was thing pocket holes to the floor but I'm not sure how strong that would be. The edges of the opening have joists all over pretty much as you can see per the pictures. The right side, has a joist on top of the bottom basement joist and it;s single in width. This sits right on top of the beam that goes across the house in the basement from one end to the other, hence the reason why the floor joist/beam is sitting on top of it. ... the left side of the edge however, is double width. There are two joists there. I have thought a few ways to do it for example... a mortise type of joint where o would make a little square on the floor and then insert the post with a tenon or something. I can see this working for the right side where there would be enough empty room right next to the joist however on the left side, since its a double 2x8 I am not so sure. I dont want to cut into the joists per se - wouldn';t that make them weaker? Another option, just pocket holes through it with some strong screws and try to hit the joists underneath with them? Third option, I am not sure if it would work. The posts at 3x3 ... try to make a notch in the middle point and then rest them on the joists. On the right side I would be able most likely to do the notch and insert the notch through the flooring and then bolt it to the underneath joist from the concealed side instead of the stairs side... the left side however, because its double joisted I couldn't do that probably and the notch would have to be secured through the stair side. The posts are small so notchjing them 1.5 in, i am not sure how off center it would make the whole railing towards the opeining and island. What would you guys advise? The attachment to the island I think pocket screws would be enough? 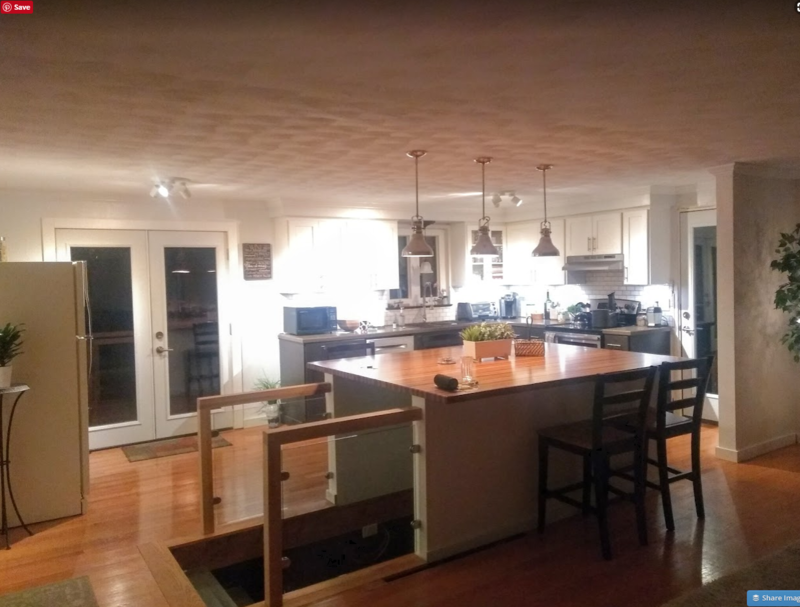 The endge of the island right there is 1/2 in plywood facing the side of a 2x4 so there is about 2 in of wood to bite to. 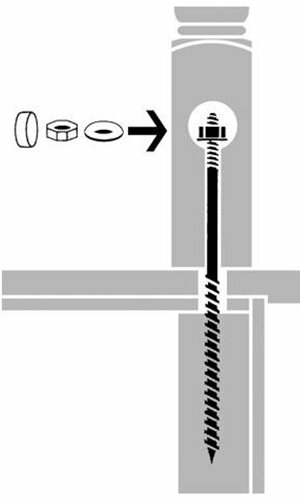 Securing newell posts (the vertical part of your railing) so that the railing doesn't wobble, can be hard. If you put any large amount of pressure on it, you've got a LOT of leverage to pull any screws out of the floor. 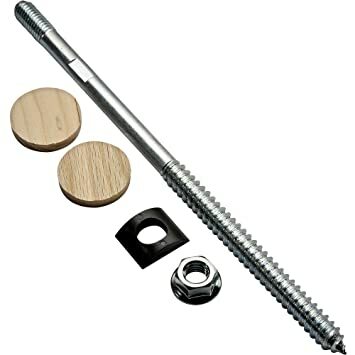 So I'd rule out pocket screws. You could cut a square hole through your floor for the right-hand railing, and secure it to the single joist on that side. But that still leaves the left-hand side. I would advise against any sort of notching of the joists. Here's what I'd do for the left side: Instead of trying to secure the vertical piece to the joists below, I'd cut the horizontal piece extra long, so that you can cut a hole in the end of the wall you built under the new countertop, feed that horizontal piece through there, and secure it to the framing inside that wall. I've tried to annotate your photo to make this more clear. Thats a good idea... maybe using a mortise into the 2x4 on the channel? Maybe using both solutions? Mortise into island and then this bolt into joist? 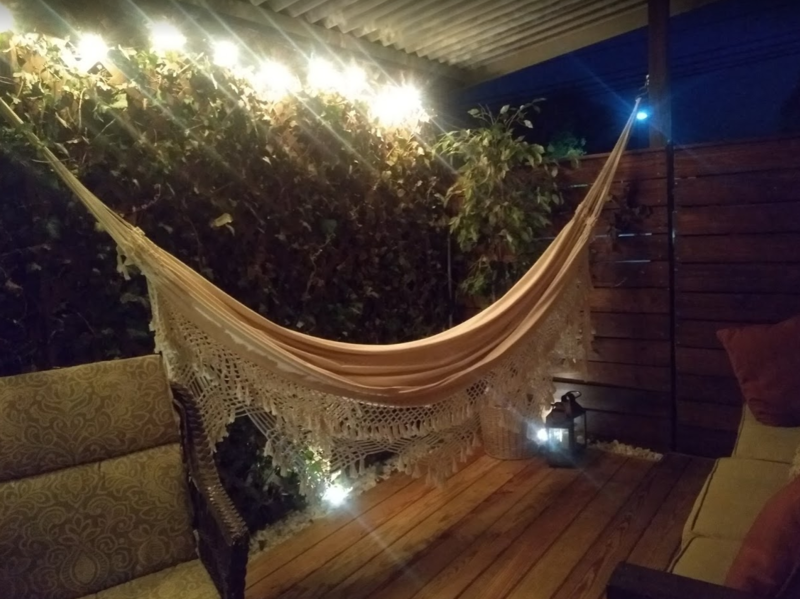 Forget the railings and get creative! 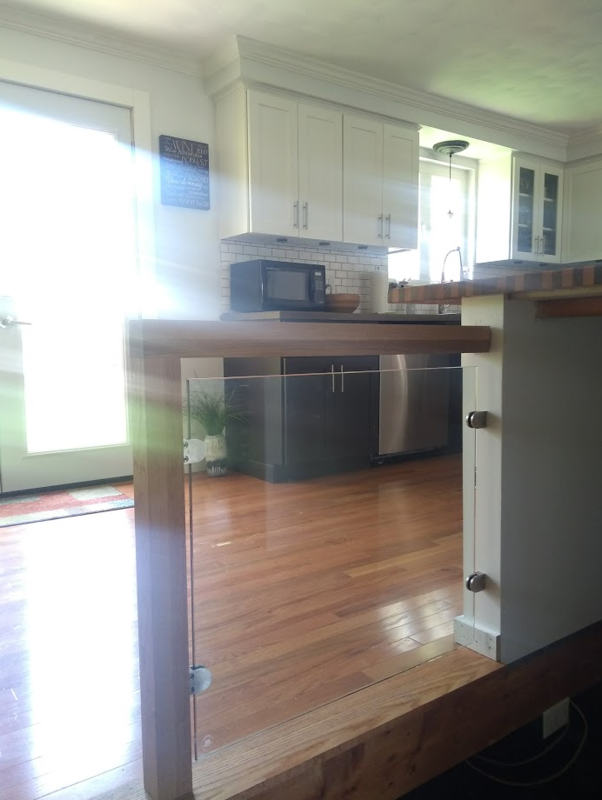 How about a sliding countertop extension that fits underneath the existing one and completely hides the fact that the stairs are there? 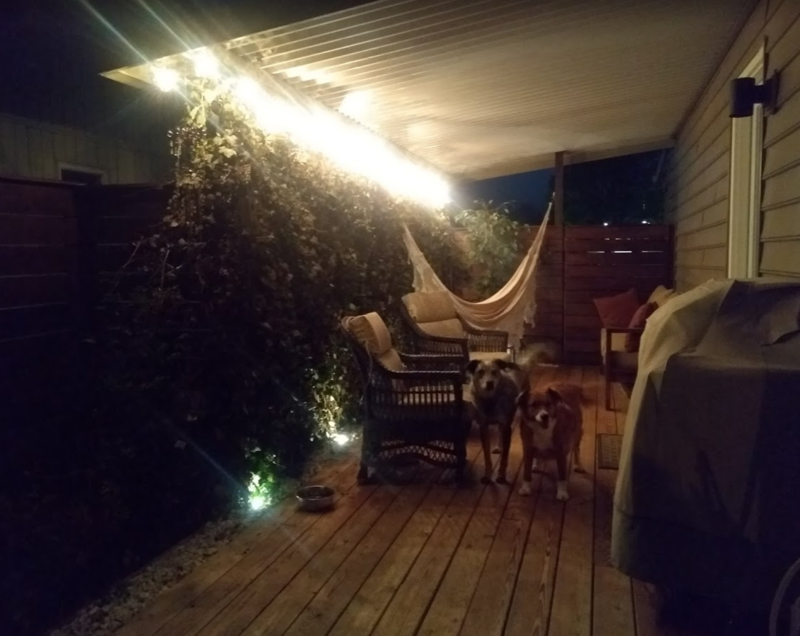 If I had seen this video before I built everything... it could have been like that... but at this point we will go with railings. Today I am ordering the tempered glass and we are finally done! We are going to paint the basement ceiling/joists all white and probably won't close it up or put drywall since the ceiling is low and I don't want to lose inches. Basement will be open space for most part - for flexibility, costs, and in order to be fast... most divisions/rooms will be made with furniture and things like that... picture a loft type of layout. Great inspiration here! Please keep us updated and esp. keep posting pics. You must have lots of energy. Yes, natural oak looks awesome, but you'll want to put *something* on it so it doesn't soak up dirt and grease and such. I'd suggest a satin polyurethane varnish to help maintain the look. And here are the pictures! Also, where the fridge is, we are putting bottom cabinets and a new fridge. That's all! oh and open shelving! Looks amazing! You have one of the most creative kitchen tables I have ever seen. Major props to you. You could even to add a little extra butcher block (or even painted plywood with leftover kitchen paint?) table on the side with the basement access with upside-down padded hooks that attach to the rails without damaging them so you have more table room for bigger parties. Or when you need more seating temporarily but don't need to go into the basement (or are willing to "sneak" into the basement via the table). I see a grand table for 10 with that easy conversion. :-) Not to give you more work when you just finished! 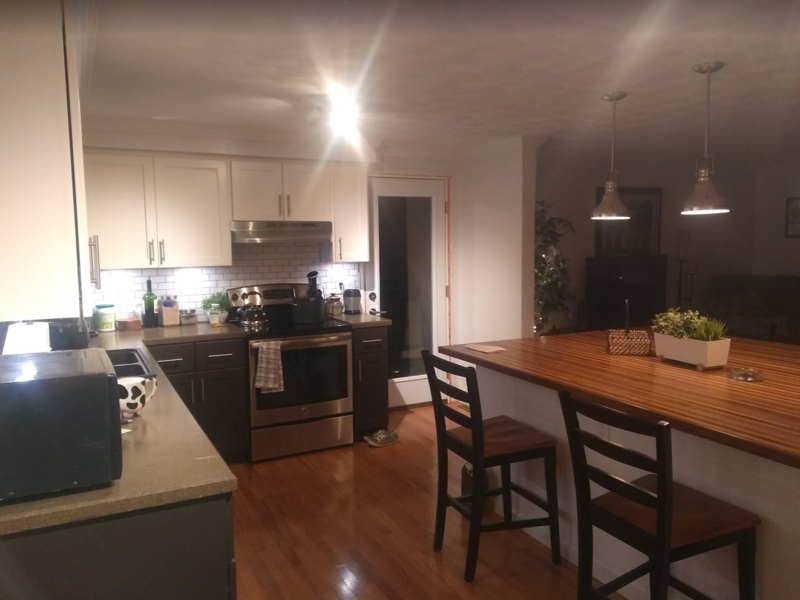 I like the directional lights you put into the kitchen a lot. 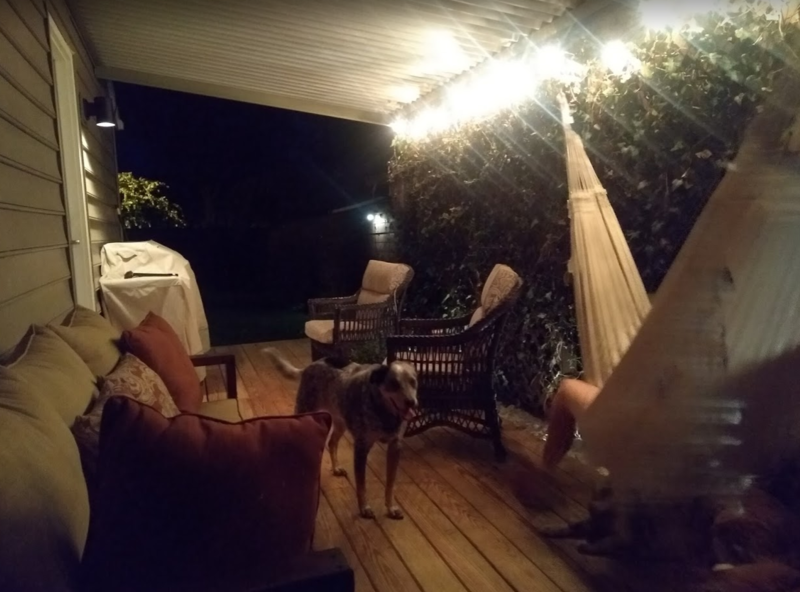 A good cost effective way to add more lighting. 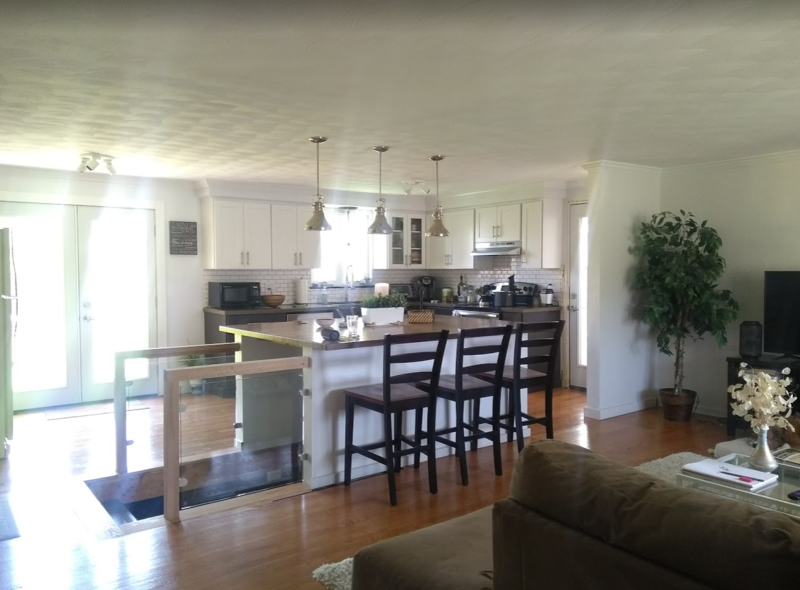 Creative/unique sometims means that it could be trouble in the future if we were to sell the house... however, so far everyone that has come to the house thinks the opposite. They say it's the prettiest "out of magazine" house in the neighbourhood ... And this is from friends and just strangers popping by ... 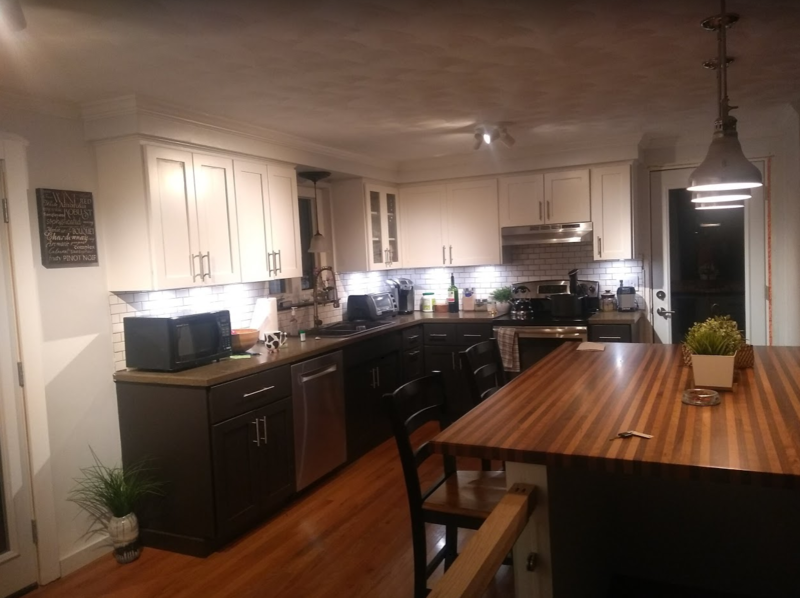 I have had 3 people already inviting me for dinner to give them tips on their kitchen updates and decor. Now if you could also figure a way to make it basement stair wall art or ceiling art you wouldn’t have to store the table away when not in use. 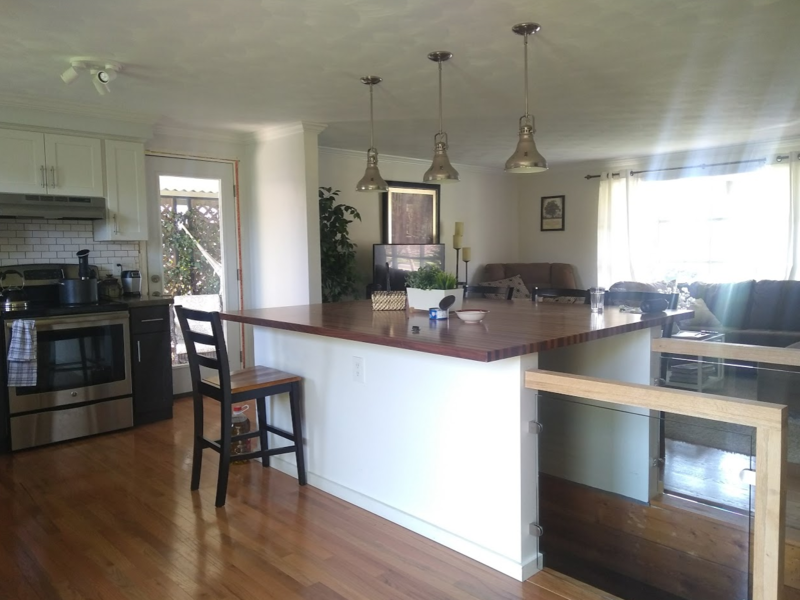 Counter height benches are a cool idea for maximizing seating-you’ve given me an idea! Clap, clap, clap. Stands and claps!! 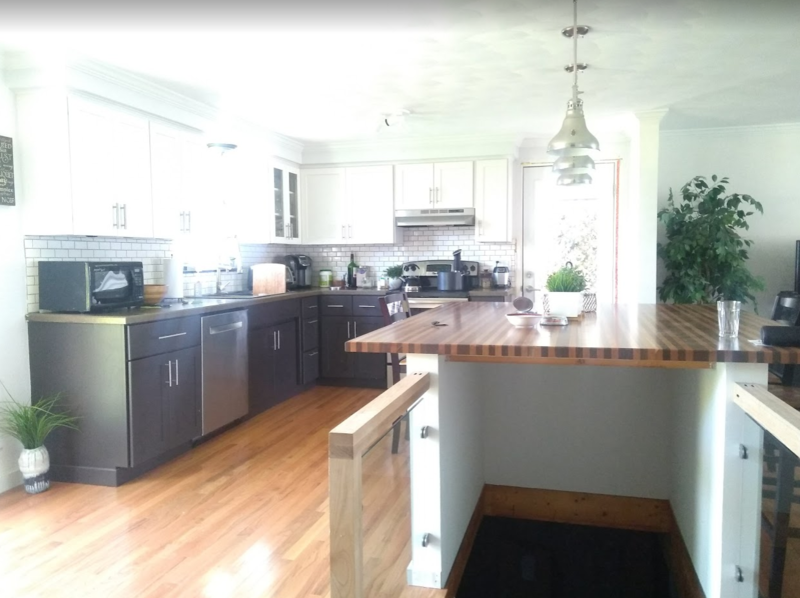 Such a beautiful kitchen. I love that people recognize what a great job you have done in the neighborhood. It sure makes it look good... need to see what we can do about the bugs though! It's a mosquito magnet!! Ah mosquitoes - the bane of my existence. I'm super allergic to them and get HUGE swollen welts when I get bit. You can also try planting lemongrass, citronella, or geraniums in planters and see how that works for you! That's my next project. 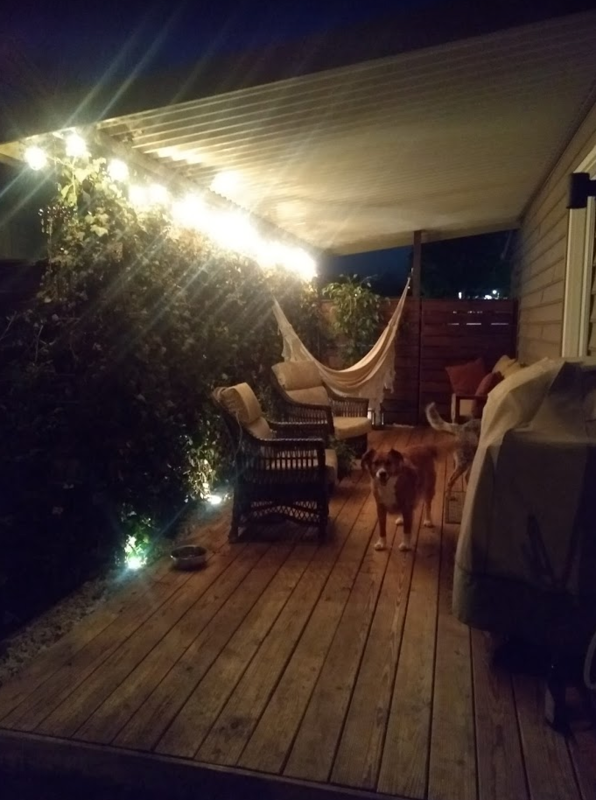 By the way, your deck is beautiful and the lights were a great addition! The lights look really good! So does your deck. If you find something that works for the bugs, I'd like to hear about it. Our FIRE house has terrible bugs. One kit covers an acre for 90 days. The store that carries them around me sells the kit for $20. Just stumbled upon hour project which looks amazing. Pics aren’t loading for me though. Any way the pics could be rescued? Edit: Saw your YouTube link. Looks awesome! Thanks and congrats on the very interesting and project! I am confused. Maybe it's the pictures, but I'm going to ask so you can clarify. Why does the railing not extend all the way to the first step? 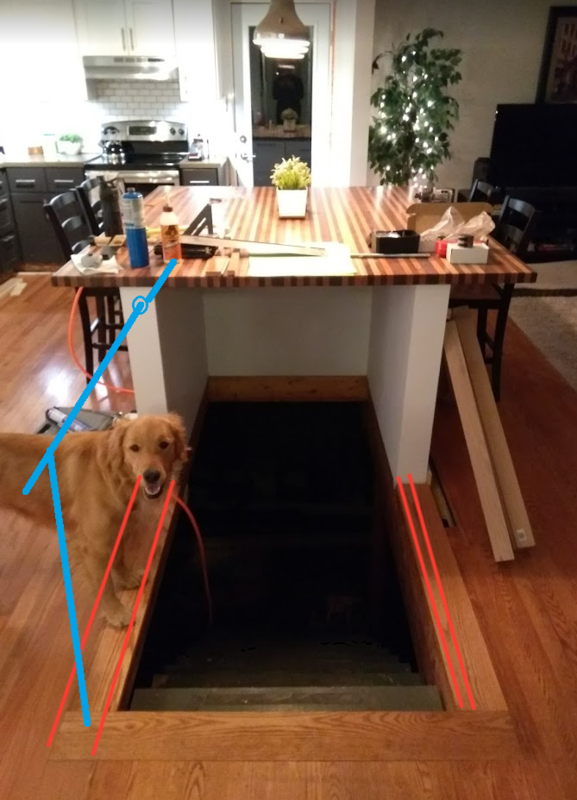 Is there a handrail to the basement that isn't visible or something planned that is not yet installed? The glass panels look great, but flat panels of glass offer little in the way of support. 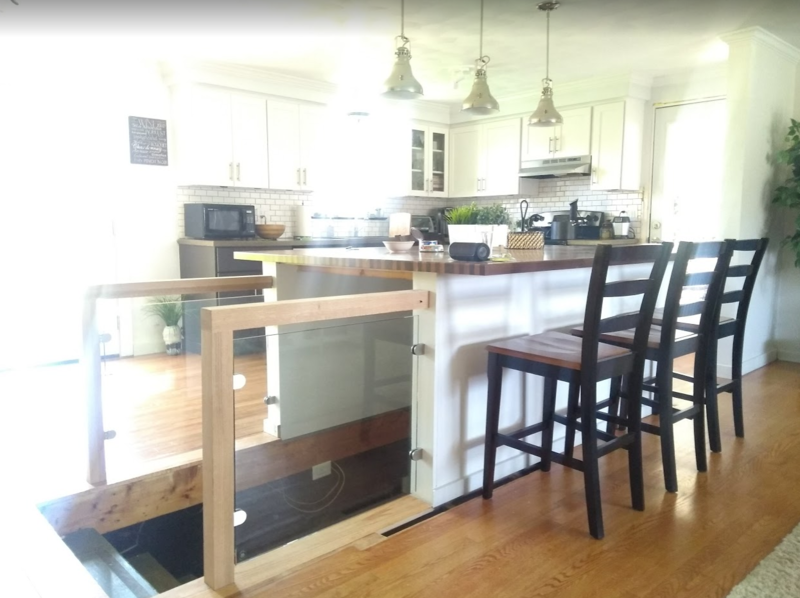 How much space is there between that gaping first step and the refrigerator? It looks tight, but might just be the angle. Finally, was this work permitted?